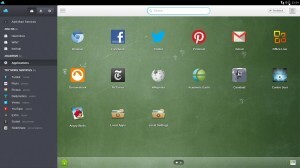 The JoliCloud Desktop Environment finally is available for Ubuntu 12.04 Precise, 13.04 Raring and 12.10 Quantal. Here’s how to install it via ppa repository. As you may know, JoliCloud Desktop Environment puts a HTML5 launcher with shortcuts to popular websites and services front and center, such as Facebook, Twitter, Gmail, Wikidedia, Angry birds, and more. Once installed, log out current session. 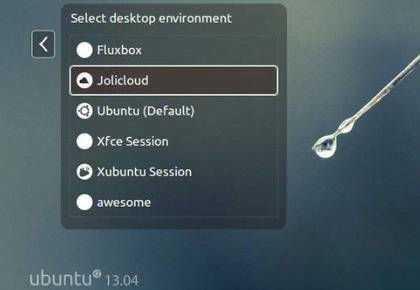 Click on the gear icon and choose Jolicloud for Ubuntu login.